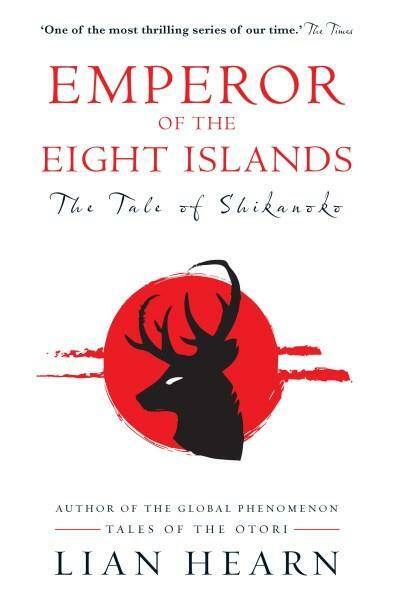 Eight years ago, Lian Hearn published the final book in the 'Tales of the Otori' series. Translated into 40 languages and selling more than 4 million copies worldwide, this series captured the imagination of a generation of readers, as they entered the world of feudal Japan and followed — across five spell-binding books — an epic tale of intrigue, romance, betrayal and magic. Now Lian Hearn has gone back in time, to 300 years before the Otori series, to create a new saga that explores the bitter feud of two rival clans as they each seek to have their own champion crowned Emperor of the Eight Islands. Full of treachery and deceit, and rich in sorcery and adventure, it's an intricate tale that explores a world where nothing is quite as it seems. Emperor of the Eight Islands is actually books 1 and 2 in the series, with books 3 and 4 to be published in August 2016 as Lord of the Darkwood.